Pothole repair is a hot topic in January, as this month sees the annual National Pothole Day. The condition of the UK’s roads and highways is brought into focus. Across social media and the press road users vent their frustration at the consequences of a collision with this type of surface defect. Starting in 2015 National Pothole Day is now established in the calendar and the shared experience of motorists and cyclists is broadcast loud across the internet. BituChem are at the forefront of tackling this national problem all year round to restore our vital road infrastructure to full working condition. Pothole repair falls into two categories. Where they already exist a speedy method of reactive mending is needed. The Airpatch system is a comprehensive emergency repair technique. The truck mounted rear hopper contains all the materials for pothole repair. The vehicle is fitted with an extendable boom and apparatus to transfer the materials to the affected area. The holes and cracked asphalt can be filled and resurfaced very quickly. All aspects of the mend can be operated by the driver from the safety of the cab. The benefits are high mobility, speed of repair and deployment to numerous locations for efficiency. While emergency repairs tackle the immediate issue. A system of maintenance and highway preservation programmes acts as a preventative measure by restoring the integrity of the existing road surface. BituChem has a collection of micro asphalt and road emulsions which deliver a comprehensive reinforcement to existing highways. 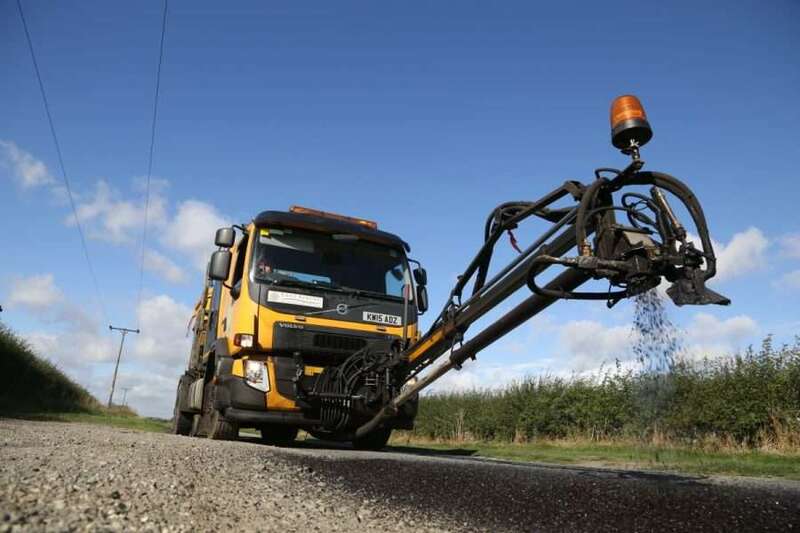 We work with many local authorities to ensure that their highway maintenance budgets are maximised by matching the right product to the category of surfacing upkeep they require. All of which reduces the need for pothole repair during and following the Winter months. BituChem manufacture and supply local authorities and their contractors directly with pothole repair materials and road surfacing treatments. We also have a contracting division which can be utilised to apply any of our highway maintenance to the roads under your Council’s jurisdiction. To find out more, please contact us.